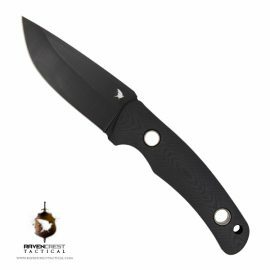 All Raven Crest OTF Combat Knives feature a 440c Stainless Steel blade with a two tone matte black finish. 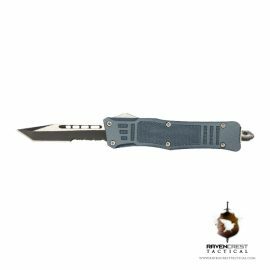 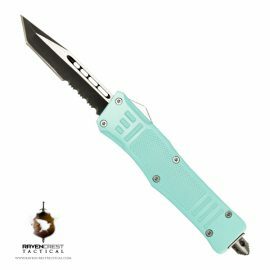 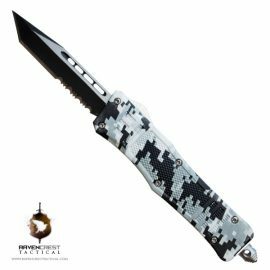 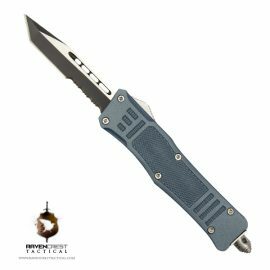 Our OTF Knives can be quickly deployed with the ambidextrous sliding button. 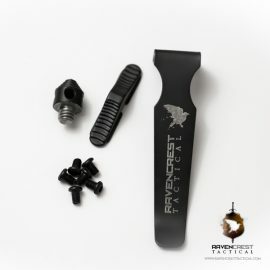 Pushing forward on the button deploys the blade out the front of the handle and pressing backwards on the button retracts the blade back into the handle where it is ready again to be deployed at a moments notice. 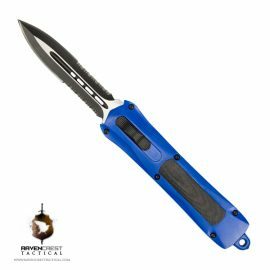 The handles are made from Zinc Alloy and are “rubberized” for non-slip handling in any environment. 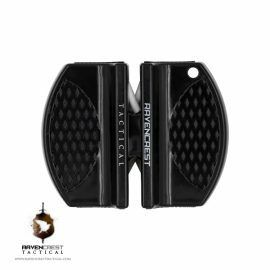 The metal pocket clip is reversible and can be carried in the button back or button front positions. 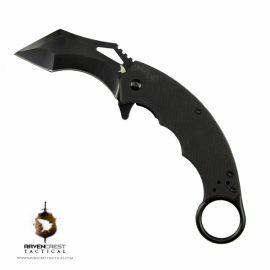 When clipped into the pocket, our OTF Knives have a nice low profile “ride” which is good for concealed carry purposes. 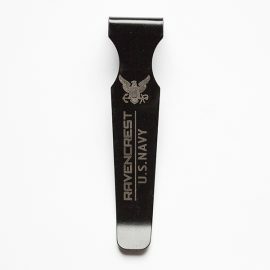 Each Raven Crest OTF Combat Knife comes with both a silver and black pocket clip. 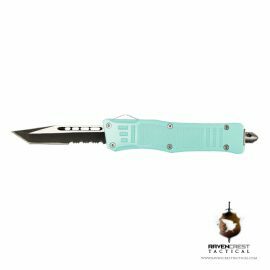 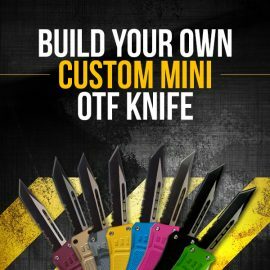 The end of the OTF Knife features a glass breaker pommel designed to shatter glass or break anything else you might need to in case of an emergency. 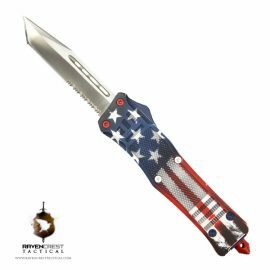 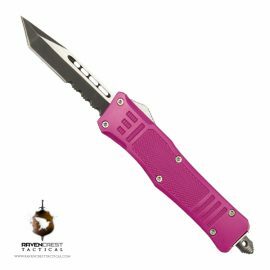 Our OTF Knives also have a built in safety feature that will not allow the blade to fully deploy if anything is obstructing it’s path. The blade will then need to be reset by pulling the blade all the way into its locking position making it again fully functional. 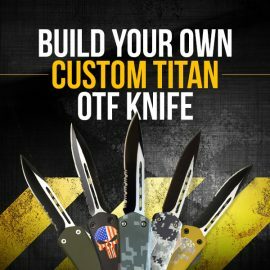 And most importantly, ALL of our OTF Knives comes with a Full Lifetime Product Warranty. 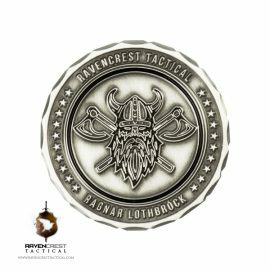 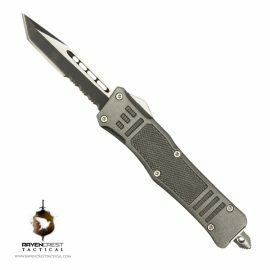 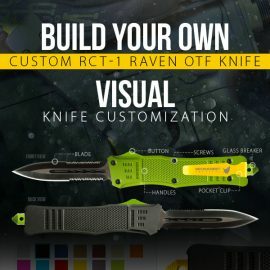 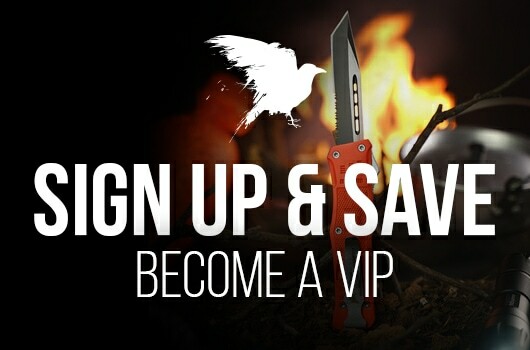 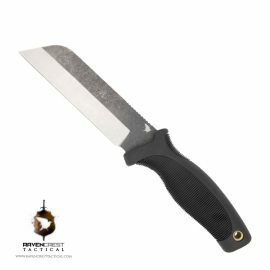 When you buy a Raven Crest Tactical OTF Knife, you are buying a knife for life.